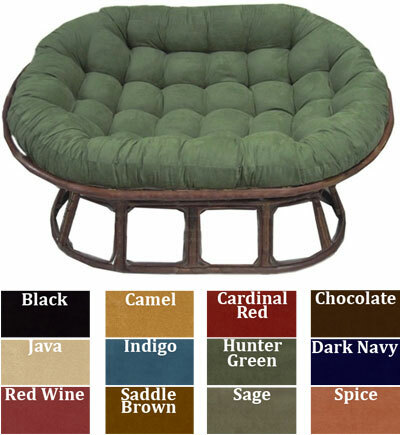 The Love Seat or Double Size Papasan Cushion comes in two sizes. The sizes are 62" x 48" and 78" x 58". Make your choice above. The larger papasan cushion costs a bit more.